Both of these teams have already qualified for the Top 16 but this isn’t to say that this will be a game with nothing at stake. The home team is in third place in the group with a 4-4 record while the away team is in second with a 5-3 record. Second place is very much up for grabs in this game and both teams will be keen to win. Thomas Heurtel has been a massive player for Anadolu this season and he is the Euroleague leader with respect to assists. As of 8 rounds in the regular season, Heurtel has clocked up 7.9 assists. He needs 11 more assists to reach a career record of 500 assists in competitive Euroleague play, which would make him the 18th player to reach his landmark. Laboral don’t need to be told about the quality of Heurtel as he was a Laboral player for two and a half seasons before he made the switch to Istanbul in the middle of the 2014/15 campaign. 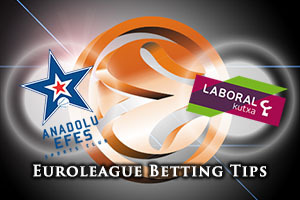 While Laboral know that they are heading to the Top 16, they will be keen to grab another Euroleague win as this will place them on to 200 victories in the history of the tournament. They will become only the 6th team to achieve this feat, so you can guarantee that they will want this wrapped up sooner rather than later. With 8 of the last 13 clashes between these sides falling to the away team, the Spanish side will be confident about their chances. As of the first 8 rounds of this Euroleague regular season, Ioannis Bourousis leads the average performance index rating with a rating of 24.4 per game. 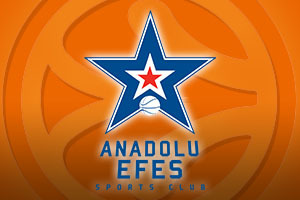 The bookmakers believe the home team will prevail in this game so take Anadolu Efes Istanbul at -5 at odds of 1.90. When it comes to the Over/Under market, look to go OVER 160.5 at odds of 1.90. Bet Now!